We are pleased to announce that we will be offing Guiding Good Choice again in Pasco. We are accepting parent application for our parent classes to start on May 8th in both English and Spanish (please note that we this will be based on parent sign-ups). 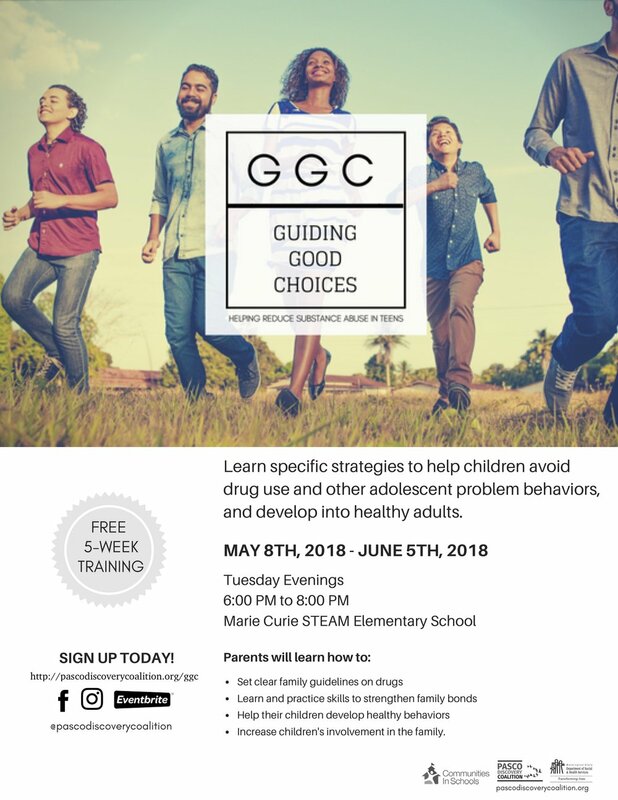 Guiding Good Choices is a free 5-week course teaching people how to help reduce the risk of substance abuse in children age 8-14. The goal of the Guiding Good Choices program is to prevent substance abuse among teens by teaching parents of preteens and younger adolescents the skills they need to improve family communication and family bonding. The program draws on extensive research that demonstrates the critical importance of bonding in reducing or inhibiting adolescent participation in antisocial behaviors.During the course of the Guiding Good Choices program, parents will learn specific strategies to help their children avoid drug use and other adolescent problem behaviors, and develop into healthy adults. Parents will learn to set clear family guidelines on drugs, as well as learn and practice skills to strengthen family bonds, help their children develop healthy behaviors, and increase children's involvement in the family.